This page contains links to useful teaching resources on the Women’s Land Army. If you have any recommended resources, please get in touch. 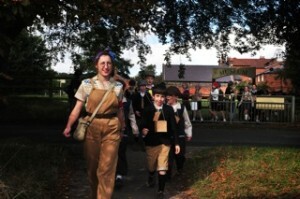 Annie’s War, an event for KS2 students being held at Gressenhall Farm and Workhouse. Work alongside Olive the Landswoman out in the fields along with meeting many other World War One individuals. £4.50 per child (bursaries available for pilot events in July 2014). For more information, contact Katie Smith (Learning Officer) on 01362 869256 or by e-mail. See other resources on women’s war work here. ut rationing in the Village Shop and help win the war with the Home Guard. 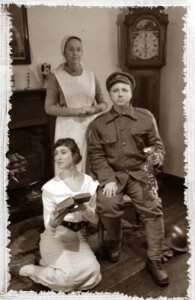 To enter into the spirit of the Home Front, the museum invites you to come in costume. Call 01362 869251 or visit the Gressenhall Museum pages for the latest information.